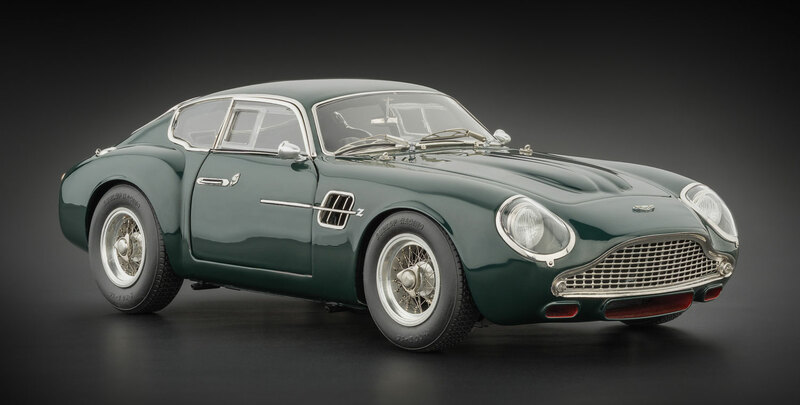 The Aston Martin DB4 GT Zagato is an exclusive sports car that integrates British engineering with an Italian body. It was developed by Aston Martin in cooperation with the famous coachbuilder Zagato in Milan. Only nineteen units rolled off the assembly line between 1960 and 1963. In 1988 and 1996, Aston Martin and Zagato renewed their partnership to build six additional DB4 Zagatos. The two episodes of follow-up production are known as Sanction II (4 cars) and Sanction III (2 cars). Owing to its fabulous styling and design, the Asto Martin DB4 GT Zagato became an Icon in automobile history and is being sought after as a collector’s item. Originals can each be worth millions. What serves as a powerful reminder of Aston Martin? Simply put, the DB4 GT Zagato, which has become one of the most sought-after sports cars in the world today. By adopting a soft design language that accentuates the styling of curves, Gianni Zagato succeeded in tailoring an imaginative body for the car. Interestingly all the nineteen original cars are a little different form each other, as Zagato graciously accommodated customer preferences in detailing the body of each car. Aston Martin’s immediate goal was to compete against the dominant Ferrari 250 GT SWB and even outpace it. The DB4 GT Zagato was famous for its light-weight body. This was achieved by wise choice of materials (e.g. thin aluminium plates) and removal of body trimmings and unnecessary luxuries so that the weight of the DB4 GT was reduced by more than 100 kg. But even this radical “body slimming” and the maximum output of 314 hp were not enough to clinch the success that Aston Martin had hoped for. At the 24 Hours of Le Mans in 1961, two Zagato’s from the Essex Racing Stable of Great Britain raced with the license plates “1 EV” and “2 EV,” but they failed to break the dominance of the Ferrari cars. Even seasoned pilots like Jim Clark, Roy Salvadori, and Innes Ireland had to concede to the Ferrari dominance in subsequent races, which saw them each drive a Zagato.